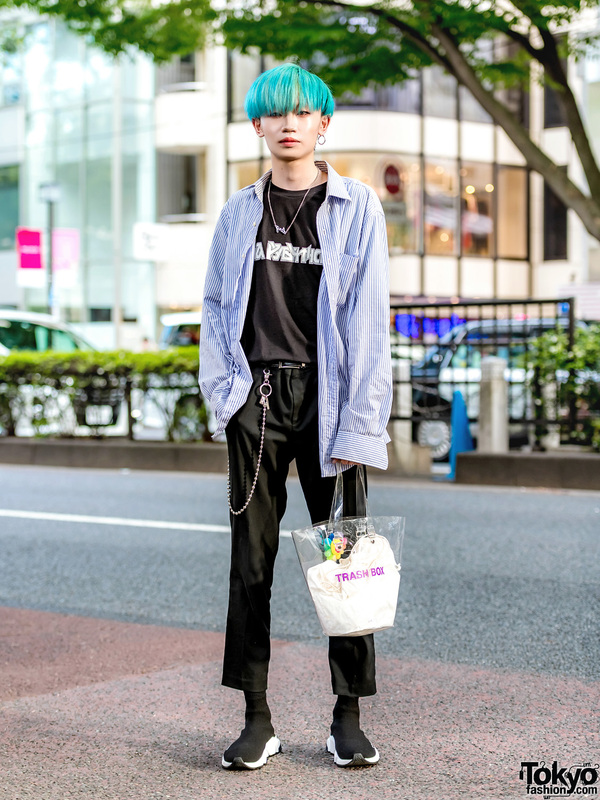 Harajuku teen dressed in an oversized jacket, ripped band tee, black skinny jeans, high top sneakers and a Beatles tote bag. 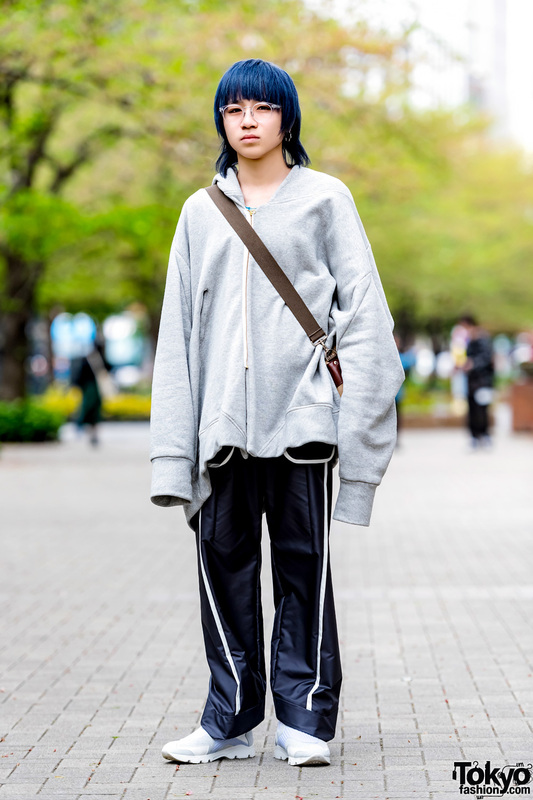 Editorial assistant clad in layered tops, black dress pants, pointy snakeskin boots and vintage accessories. 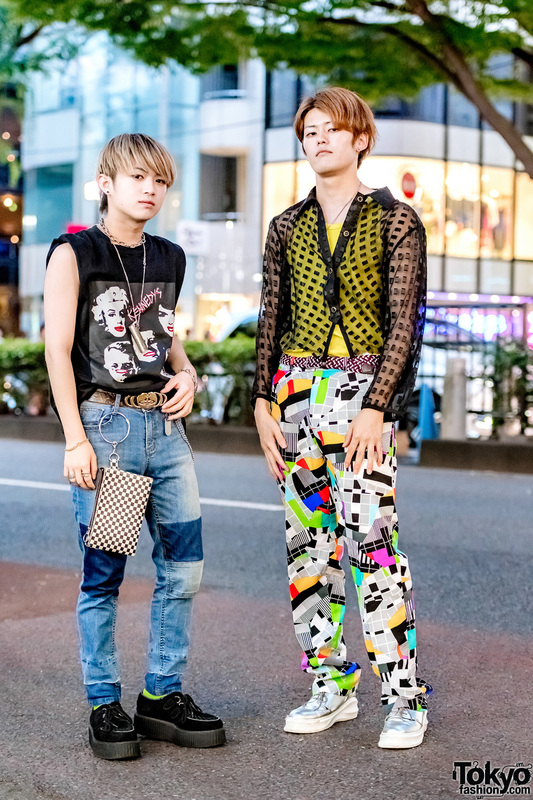 Japanese teens wearing monochrome streetwear styles while walking on the Harajuku street. 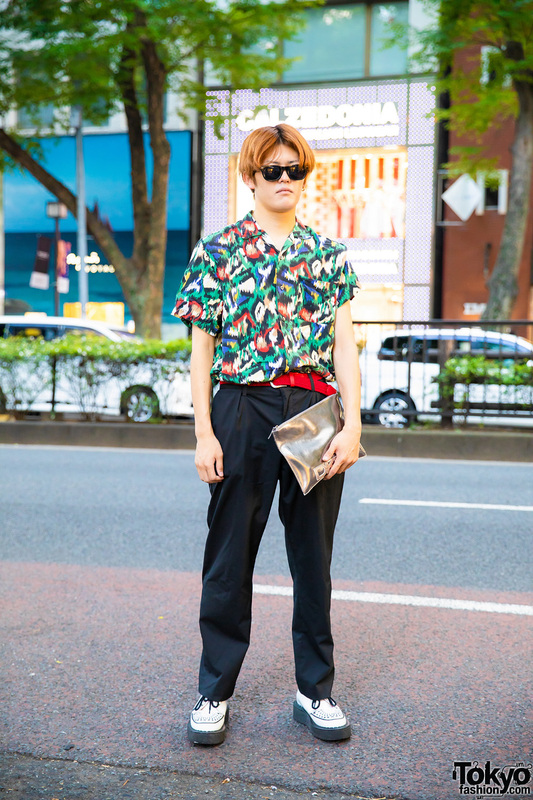 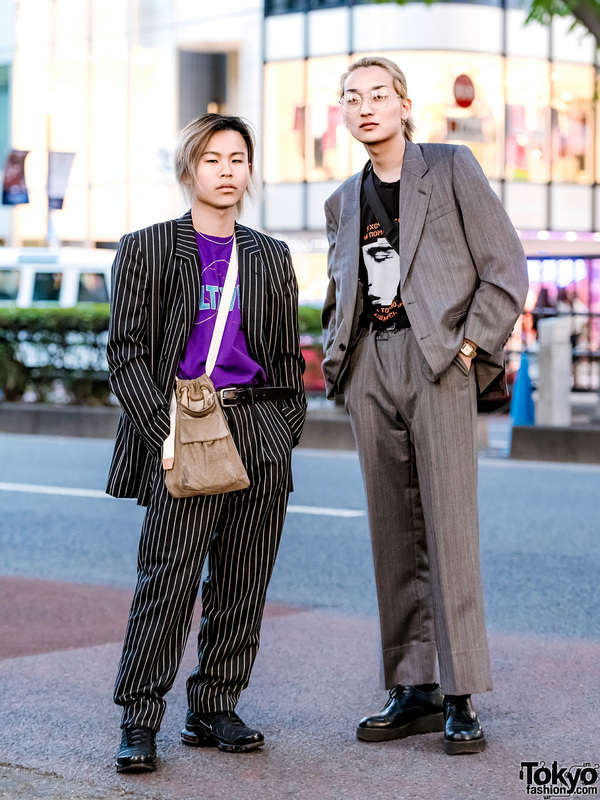 Harajuku guy sporting a smart casual look with a resale printed shirt, black pants, white creepers and a metallic clutch. 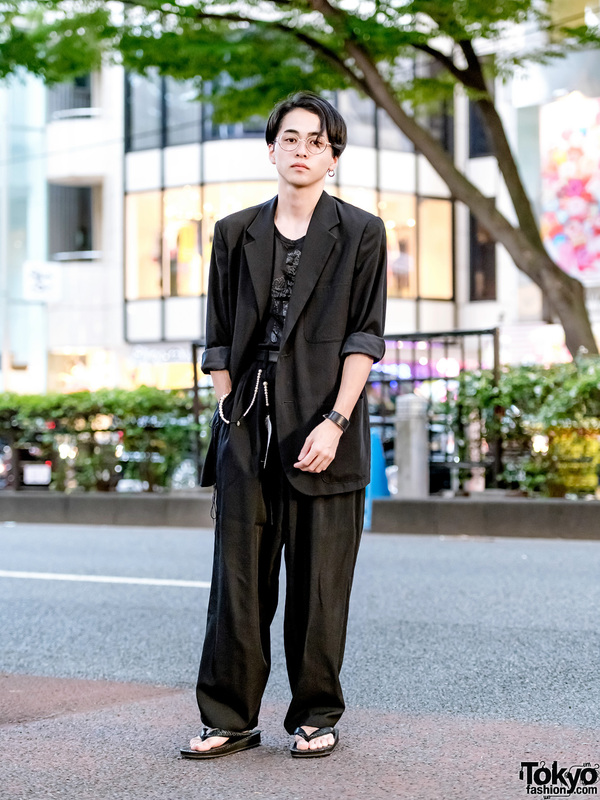 Japanese actor wearing a minimalist monochrome ensemble while out and about on the Harajuku street.